Perhaps one of the most underrated aspects of a business is its lighting. But what most people consider to be an unremarkable facet of modernity can actually have extensive implications, not just on efficiency and the environment, but also on personal wellbeing. Businesses of all shapes and sizes are fast realising the numerous benefits that switching to LED lights can bring. And there is mounting evidence to support all the hype. LEDs (light-emitting diodes) are made from a semi-conductor material which emits light when a current passes through it. This differs from incandescent light bulbs that use a super heated filament to produce visible light. And it’s this difference that gives LEDs the edge over traditional lighting. LEDs are efficient, they slash energy bills, reduce CO2 emissions, have a prolonged working life, are brighter than conventional lights, and minimise maintenance costs. LED efficiency can be up to 70% higher than traditional incandescent bulbs, which helps reduce a business’s energy bills. As 20% of the world’s electrical usage goes towards our lighting, their lower carbon footprint makes them an important factor in the fight against climate change too. In fact, draft regulations will see the banning of both fluorescent and halogen light sources in Europe by 2020, due to their inefficiency. The removal of compact fluorescent lamps is a particular milestone, as these lights were a symbol of eco-friendly lighting in the 1990s. There are other more practical benefits of LEDs too, including their prolonged working life, which helps minimise the maintenance costs for your business. And contrary to the myths, LEDs can actually be brighter than conventional lights, and they reach full light intensity immediately, rather than taking time to ‘warm up’. All of these financial and environmental benefits have been known since the conception of the LED itself. But what’s starting to come to the attention of scientists are the numerous health benefits also associated with LEDs, and the impact that these can have on personal wellbeing. So how do LEDs impact health? The intensity and colour of light also has an influence on personal wellbeing, with one study showing the colour of lighting provided by LEDs to have positive effects on a person’s mood too. As a result of all these positive attributes, LED lighting has been recommended for all sorts of working environments, including offices, schools, medical centres and warehouses, where human wellbeing is of paramount importance. These institutes can now look beyond energy efficiency by considering the wellbeing of their staff and students, and create a more productive working environment. Who is using this to their advantage? One school in Malmo, Sweden, has recently installed LEDs as part of a human-centric lighting approach. 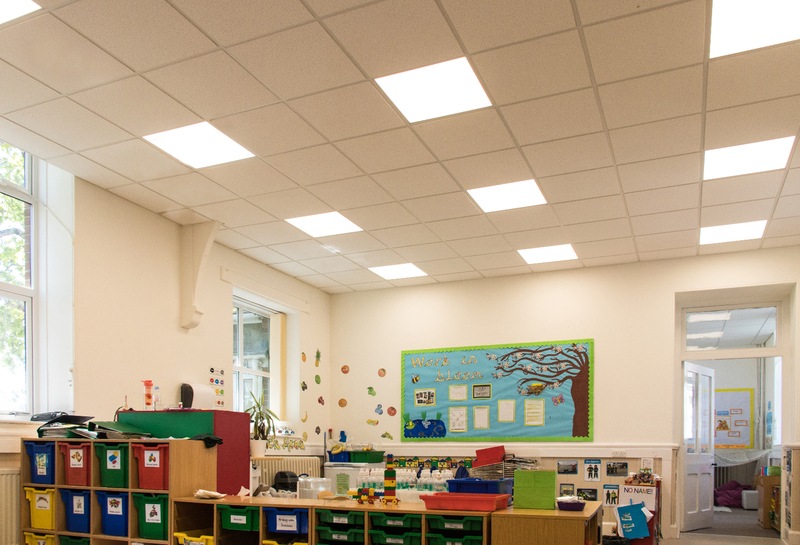 The results from changing lighting scenes have been noticeable, with the overall opinion among the pupils and staff being that the new light has helped improve concentration and reduce feelings of tiredness. Businesses everywhere should be switching to LEDs for the benefit of their staff, the environment and their purse strings. SunGift have a dedicated LED department who would be happy to carry out a free energy-efficiency survey of your building. With your business’s predicted energy savings in hand, you can go on to make an informed decision about whether or not LEDs are right for you.